This election season, the media has found itself wrapped up in a perpetual cycle of self-loathing and self-adulation. We are, by our own estimation, both acutely to blame for the rise of abandoned roadside ham hock Donald Trump, and unimpeachable public servants, guilty only of doing our job. One area in which the media—in particular cable news—has unquestionably borked has been in providing candidates equal airtime. 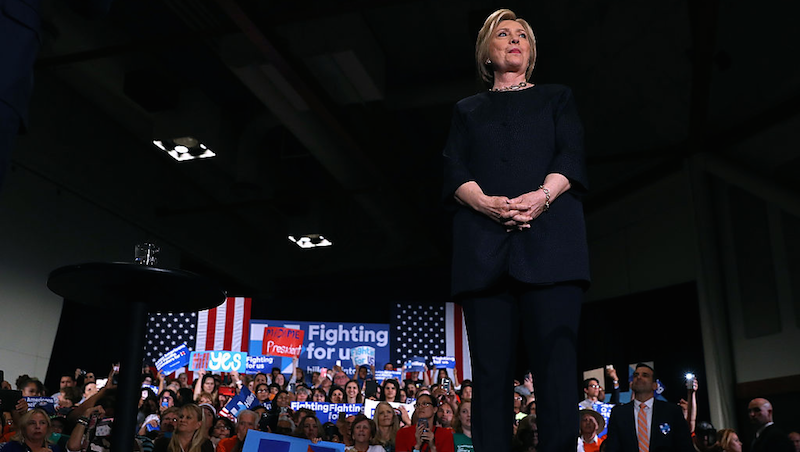 Last week, according to the New York Times, not a single one of the three major cable news networks (CNN, Fox News, or MSNBC) aired Hillary Clinton’s talk to a workers union in Las Vegas. Instead, they chose to air a live stream of an empty podium in North Dakota where Trump was scheduled to give a speech. The same discrepancy occurred earlier this month, when the cable networks aired Mr. Trump’s address to the National Rifle Association live from start to finish. A speech by Mrs. Clinton in Detroit days later, to a labor union, did not receive the same coverage; all three networks skipped the speech, with Fox News airing a lighthearted segment about a nationwide backlog of cheese. In interviews, more than a dozen anchors, executives and news producers displayed admiration for Mr. Trump’s facility with their medium. Some expressed a bit of soul-searching, admitting unease at the unfiltered exposure he has received, with one anchor describing frustration about being asked to conduct on-air interviews with Mr. Trump by telephone, rather than in person. But several offered the defense that whatever viewers make of Mr. Trump, he is undoubtedly newsworthy — and always accessible. Prime-time advertising rates spiked at the major cable news networks in the first quarter of the year, rising 45 percent at CNN and 23 percent at MSNBC, compared with the same period the year before, according to Kantar Media, which tracks ad spending.